The project manager knows he has to do a schedule. This is one of the basics of the project manager. But the schedule is primarily a working tool for the project manager and his team. The schedule must be detailed, and contains many useful information and tasks for the successful completion of the project. However, the project manager also needs to talk about planning with his manager, his client, the future users of the product and other project actors. For that, the planning of the project is not necessarily the good support. Indeed, a detailed schedule will be too "rich" and may be difficult to read for someone not permanently on the project. 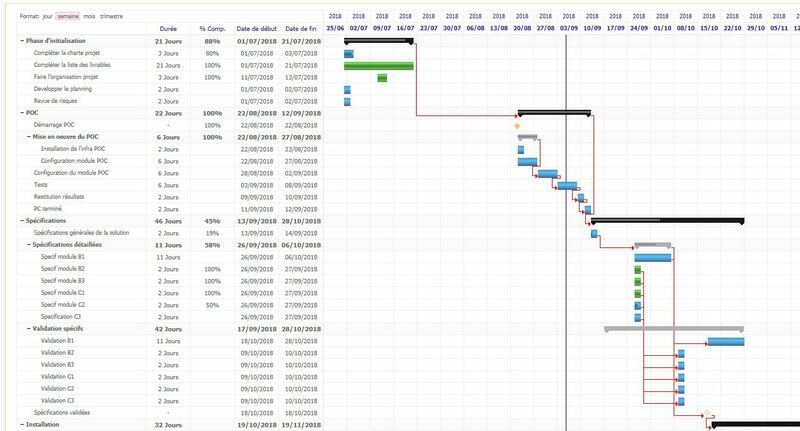 Even a GANTT view is sometimes not the right solution for this communication need. The solution is the use of a macro-planning. The macro-schedule is a simplified version of the schedule, which contains only the main activities, steps, and key milestones. The macro-planning must be easy to read and possible graphically. He must stand on one page. The macro-planning is an indispensable communication support in the context of meetings such as steering committee or management committee for example. It can also be made available to all project stakeholders (project team, client, users, managers, subcontractors). The goal of macro planning is to provide a synthetic view that is easy and quick to read. It will also serve as a support for the project manager to explain the project stages. In the same way that the schedule must be kept up to date throughout the project, it is the same for the macro-planning. Gouti produces a macro-schedule automatically from the project tasks. 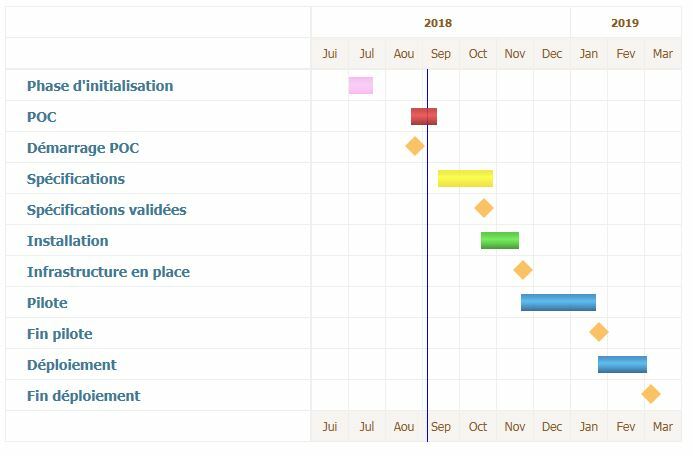 This macro-planning is configurable, the project manager can choose the main tasks and milestones that he wants to include on the macro-planning. The colors and time scale are also configurable. For example, this macro-schedule generated by Gouti is the synthetic view of a project of which part of the GANTT is visible below. The macro-planning is clearly an essential element of communication for the project manager. To use without moderation.